Guides shoppers - White infill with arrow sign on the opening side and no-entry sign on the opposite side. 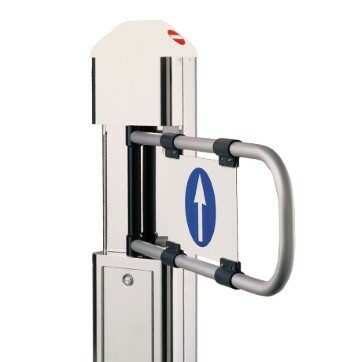 Configuration: Unidirectional motorised swing gate available in right hand, left hand or double configurations and with standard arm length or extra arm length of 1200mm. 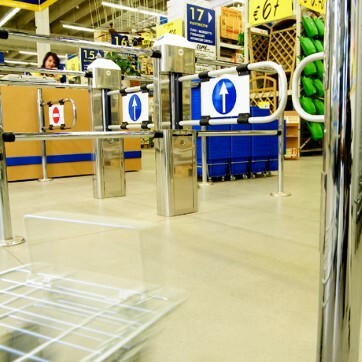 ​Anti-panic device: Pass-O-Mat is equipped with an anti-panic device which allows the gate to open in both directions when pressure of 110N is exerted upon it. Proximity reader: 20 passages per minute.